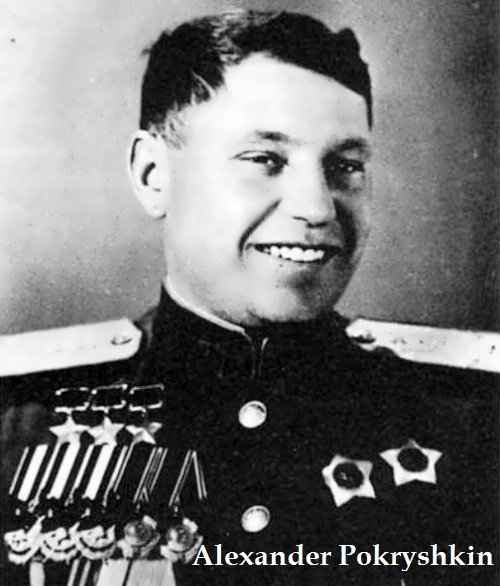 On November 13, 1985, National Hero of the Soviet Union, the legendary fighter pilot Alexander Pokryshkin passed away. 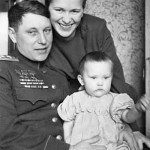 He became the first three-time Hero of the Soviet Union. 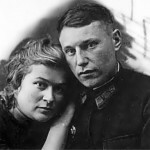 The author of the formula Height – Speed – Maneuver – Fire was born on March 6, 1913 in Novonikolayevsk (now – Novosibirsk) into a working class family. He graduated from the Perm School of Aviation Technicians. 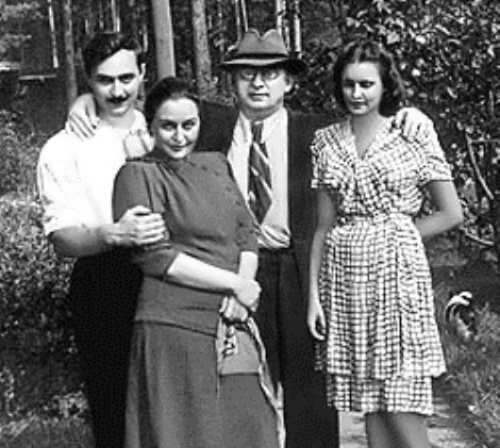 In September 1938 he passed the exams without attending lectures at the flying club. 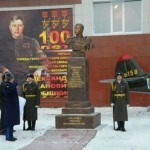 And in 1939, Pokryshkin graduated from the Kachin Air Force Pilot School. 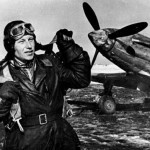 After it, the young man was sent to the 55th Fighter Wing, to the Soviet-Romanian border. 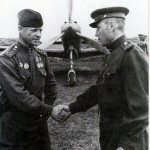 On the first day of the Great Patriotic War, Alexander shot down … Soviet bomber Su-2. Of course, by mistake. 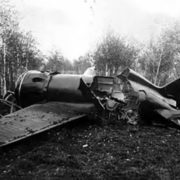 The wounded pilot landed in a field on the fuselage and the culprit had not received severe punishment. 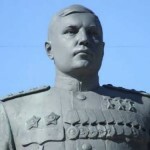 Soon Pokryshkin became a commander of the 9th Guards Air Division in Mariupol. 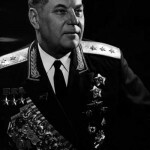 In 1953 he was promoted to General and a year later he became deputy commander of the Air Force in Rostov-on-Don. 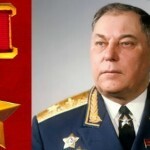 Later, in August 1968 he was appointed as a Deputy Commander of the Air Defense Forces. And in December 1972, he became the Air Force Marshal. 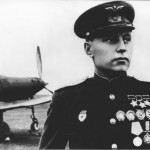 By the end of the Second World War Pokryshkin became the most famous pilot in the world not only due to his exploits, but also the fact that he developed new air combat elements. 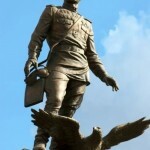 Pokryshkin was a great tactician. 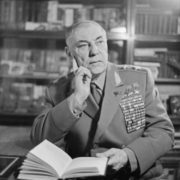 He collected and analyzed information about successful air combats before the Second World War. His motto was “Fighter! Ask not how many enemies, but where they are”. 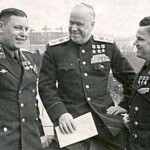 Germans warned their fighters: “Russian ace is in the air!”. Soviet propagandists helped to put fear in the hearts of the German pilots “Achtung! Achtung! 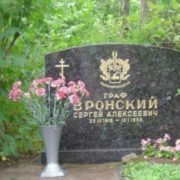 Pokryshkin is in the air”. 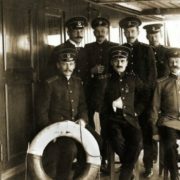 For the destruction of the Russian ace high rewards were offered. But Alexander wasn’t alone. 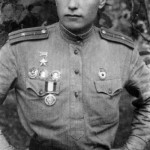 There were flying aces Rechkalov, Klubov, brothers Glinka, Fadeev, Babak and Fedorov in his regiment. 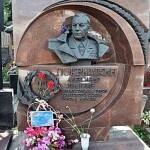 Alexander had numerous awards: four Orders of Lenin, the Order of the October Revolution, four Orders of the Red Banner, two Orders of Suvorov (2nd class), two Orders of the Red Star. 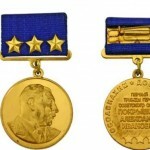 Besides, he received a number of other medals, and foreign orders, including the US Army Distinguished Service Medal. 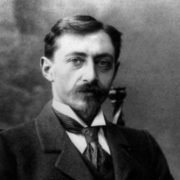 In 1978 Soviet astronomer Nikolai Chernykh discovered a minor planet, which was named after Pokryshkin.